The history of University First Class Painters is a journey of learning: with skills and know-how being gained over the many years of operations. The passing of this knowledge so that our clients, franchise managers and staff have a valued experience being the key for the years of our success. University First Class Painters was first conceived in 1982. This was when our current President Mike Benteau and a couple if University friends contracted to paint some neighbourhood homes and businesses. Although not a huge financial success, it was a significant learning experience. Taking the gains from the first season Mike successfully grew the business over the next couple of seasons. Learning how to control the business and produce quality workmanship at a reasonable profit. The tough lessons learned over these years were invaluable. With all of this learning the hard way the realization became that this was important knowledge that others can use so that they can start producing quality work profitably from day one. Not learning the hard way over a four to five year span was critical, especially for a University student who needed to make money today not in four or five years. In 1986 the business had grown to the point where more help was needed. At that point the city of Halifax was divided into 6 areas and managers were recruited to run the areas. This was the beginning of the student based franchise system. The first operation manuals, procedures and systems were created to insure that standards were maintained throughout the organization. During these years of development the business gained significant sales in the Halifax market. Perfecting customer service, marketing and sales techniques along the way. Over the next four years University First Class Painters spread throughout the Maritime provinces. Establishing franchises in Saint John, Moncton, Fredericton, Charlottetown, Truro, New Glasgow – Antigonish, the Annapolis Valley and other smaller communities. In the early 90s the UFCP brand headed west. 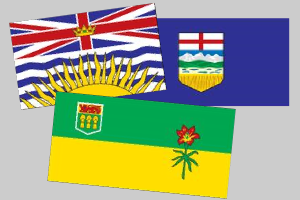 Establishing in British Columbia, Alberta, Saskatchewan and Manitoba. The UFCP systems were further developed over the next ten years and enhanced to deliver consistency to clients and franchisees alike. In 2002 UFCP established itself in the province of Ontario. At that time the first of our online systems were being planned and created. In 2006 our first online system was brought into full operation. Our manager portal assisted managers in managing jobs, processing payrolls, controlling client care and much more. Shortly thereafter our online training resource came online which facilitated the training of managers and painters. Over the next four years a total revamp of training procedures and operational processes took place further enhancing the system. In. 2010 there was a plan put in place to launch a totally online system that took the online operation from estimate creation to scheduling, production, billing through to accounting. This initial phases of this system were launched in 2014 with final ramp up,planned for the 2015 season. This cutting edge technology will shorten the learning curve for estimating while saving time, increasing sales and making operations more profitable.